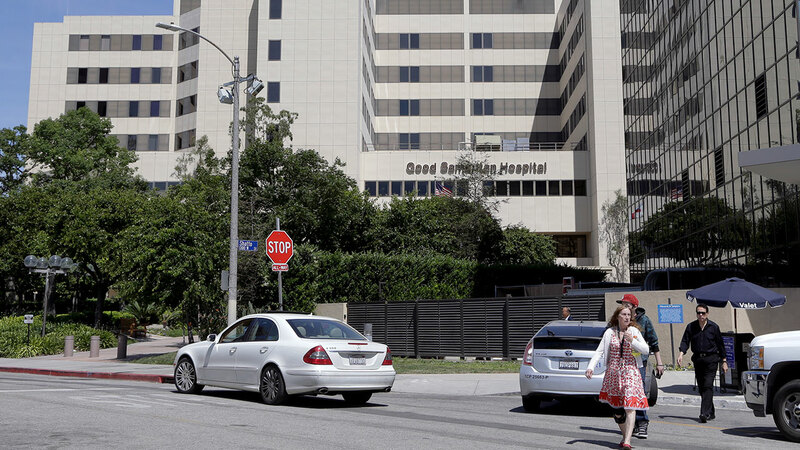 Good Samaritan Hospital in Los Angeles has agreed to new rules for discharging patients to settle a lawsuit over homeless-patient dumping. LOS ANGELES (KABC) -- Good Samaritan Hospital has settled a lawsuit over alleged dumping of homeless patients - the fourth hospital to settle such allegations with the city of Los Angeles in the last three years. City Attorney Mike Feuer said the hospital agreed to pay $450,000 to settle the city's allegations that it improperly discharged a homeless patient in Echo Park. The former patient was found on the streets in December 2014 with a visibly infected leg after being released from the hospital's emergency room with only a bus token, the city attorney's office said. The patient had to be hospitalized again for his infection. Good Samaritan did not admit wrongdoing in the settlement, and continued to dispute Feuer's allegations. But the hospital said it decided to settle the case "rather than expend its limited resources on protracted litigation." Feuer said as part of the settlement, Good Samaritan agreed to take several steps to address the issue, including implementing a detailed homeless-discharge protocol and presenting improved training to staff members to assess homeless people, and their ability to make decisions when they are discharged. They will also ensure that the patients have a "warm handoff" - a place to go to recuperate from their medical treatment. The settlement brings to $1.9 million that amount that hospitals around Los Angeles have paid to resolve allegations of discharging homeless or mentally ill patients without ensuring they had a place to safely recuperate. Feuer said the city is prepared to go to trial on another case in October. The issue garnered national attention in 2006 after a surveillance camera at a Skid Row rescue mission recorded a 63-year-old woman with dementia wandering around the crime-plagued area in a hospital gown and slippers. The city attorney at the time said a Kaiser Permanente hospital put the woman in a taxi and sent her to the neighborhood even though she had serious, untreated health problems. The next year, a paraplegic man in a soiled gown was seen sliding along a Skid Row sidewalk with his hands, dragging a broken colostomy bag behind him. Police said the man was dropped there by a van driver from Hollywood Presbyterian Medical Center. Both hospitals settled those cases. Good Samaritan said the issue of homelessness is difficult for hospitals because of a shortage of local resources. "Los Angeles has experienced a sharp increase in the homeless population," Good Samaritan said. "Hospitals like Good Samaritan Hospital provide emergency services to homeless patients, and struggle to place homeless patients when they are discharged because of the inadequate resources to meet their housing and medical needs.